What's Included In The Inspection? Should my Realtor receive a copy of your report? Are you available to answer questions about the property or report after I close and move into the home? Buyers AND sellers. If you're buying a new or pre-owned home, an inspection tells you the condition of the property. That way, there are no surprises after you close on the home. If you purchased a new home and it still has a warranty from the builder, it's a good idea to have a home inspection before it expires. It's a rare case that even a new home doesn't have some problems that were overlooked by the builder. Those repairs or corrections easily exceed the cost of an inspection. If you catch them prior to warranty expiration, your warranty should cover them. Today, more and more sellers are having a home inspection before putting their properties on the market. That way, a seller knows exactly what condition his or her home is in, and can make needed repairs prior to listing. This makes a better first impression and avoids later delays in the transactions when a potential buyer wants to make an offer. Also, a sellers inspection can be used as a comparison to what the buyer's inspector finds. Absolutely. . A professional inspection of a new home is important. We can spot potential problems early, while they are still easy to correct. It’s especially valuable to arrange an inspection before the interior walls are finished. I may find problem areas where the builder has taken shortcuts or not done quality work. Yes, All Inspectors in the State of Texas should be. We're required to keep our license current and take continuing education classes each year. The cost of a home inspection is usually a small fraction of the cost of the problems discovered! The fee varies with the size of the house and other factors. If you'd like a quote please call me and describe the house. Remember that every quote is an estimate, and the cost may be insignificant compared to the savings! See our Inspection fees page to get an idea of costs. It's the seller's responsibility to get the house ready for the inspection. All utilities need to be turned on and all gas appliances need to be ready to run (pilot lights must be on). Access needs to be cleared to areas like attics, crawl spaces, electric panels, furnaces etc. Anywhere from two to four hours depending on the size of the home, the condition of the property, and the number of services you've requested. Texas Real Estate Commission I'll inspect each room like I was buying the house. You can receive your report in a variety of ways. If you need the report immediately, I will complete and print it on site. I can send your report via e-mail, or put a copy of your report on CD-ROM. We provide digital photos of any areas that need extra clarification and we include them in the report. Every item we inspect on the property is addressed in the report. Yes. Your Realtor can assist you in determining if any items in the report are significant enough to warrant re-negotiation with the seller. Having your Realtor review the report also insures that you both are "on the same page" at the closing. Note: I will not provide a copy of your report to anyone without your consent. No house is perfect. I may find things that weren't expected. The report is not a seller's "Must-Fix" list, it's just an impartial reporting of condition giving you clear direction for what should be done about each problem. Each situation is different, and it's up to your and your real estate agent to decide how to proceed after an inspection. No. Both the Standards of Practice of the Texas Real Estate Commission and the Code of Ethics of The National Association of Certified Home Inspectors (NACHI) prohibits its members from soliciting repair work on properties they inspect. This assures that there will never be any conflict of interest on the part of the inspector. 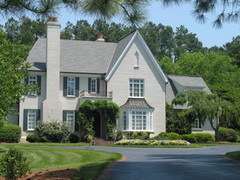 Our purpose is to provide an unbiased, objective report on the condition of the home. Yes. All of my inspections are guaranteed through Brinks Home Warranty until your closing. After that you may extend them for yourself directly with Brinks.